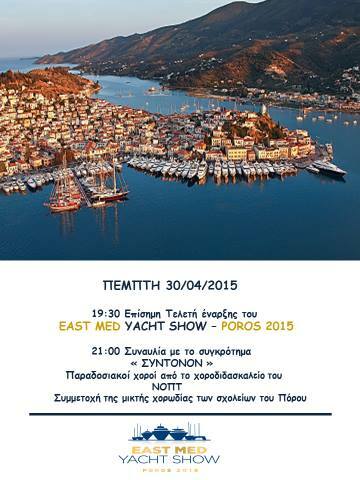 East Med Yacht Show 2015 will take place in Poros Island – Greece between the 29th of April and the 3rd of May 2015. 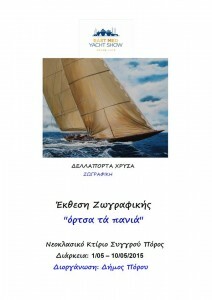 East Med Yacht Show is an international exhibition that is being held in the harbor of Poros Island for the 14th consecutive year. The East Med Yacht Show 2015 opens its doors tomorrow and up to 70 Greek luxury crewed yachts for charter will line the docks of Poros Island in Greece between April 29 and May 3. Some 80 travel agencies from the United States, Europe, Middle East, Turkey and North African countries such as Morocco and Tunisia, are due to arrive on Poros for the five-day show. In its 14th year, the yacht show is an international exhibition where the finest crewed charter yachts will be presented to the most prestigious charter agencies and brokers worldwide. 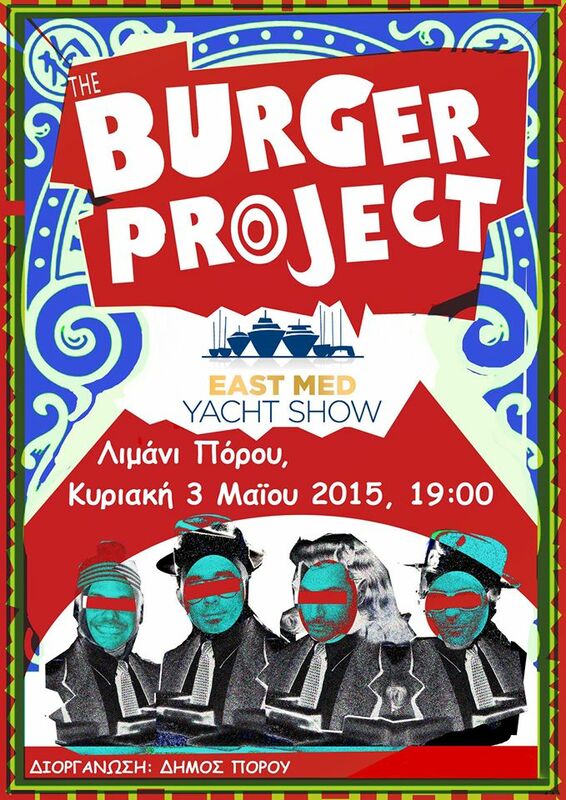 The East Med Yacht Show 2015 is organized by the Hellenic Professional Yacht Owners Association (EPEST), the Hellenic Yacht Brokers Association (HYBA), the Municipality of Poros and the Hellenic Association of Travel & Tourist Agencies (HATTA) and held under the auspices of the Greek National Tourism Organization (GNTO). Every year, exceptional yachts are presented to charter agencies and brokers from all over the world, furthermore a very wide range of activities is represented to the quayside exhibition. The exhibition this year is open to all Commercial Vessels and Charter Brokers, Professionals of the yachting sector, Travel Agents, Tour Operators and Media representatives. 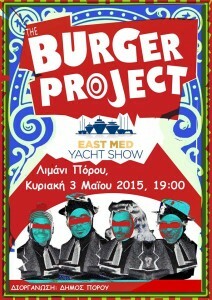 Yacht viewing will begin on Wednesday the 29th of April, 2015 and end on Sunday the 3rd of May, 2015. 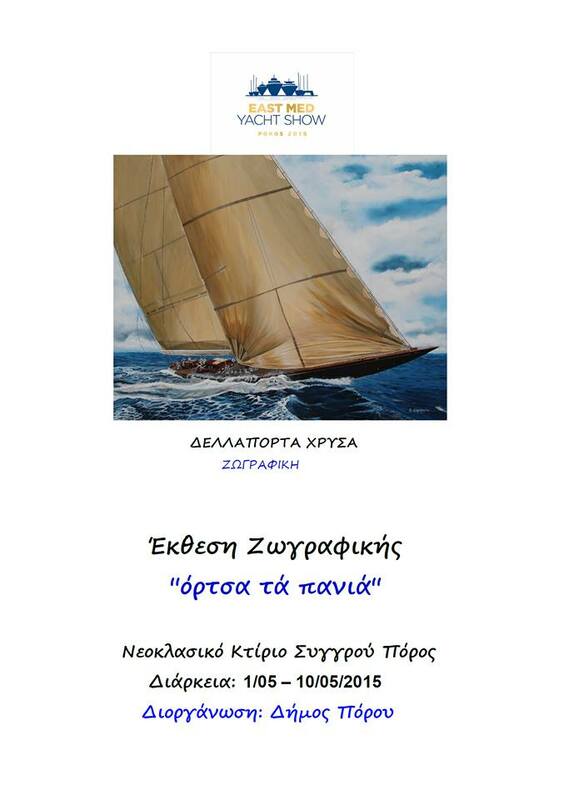 The show looks better than any other year with the new Greek Yachting law in effect for almost a year and more than 50 fine Professional Charter Yachts already attending and more than 70 Greek and International Brokers, Travel Agents and Yachting professionals registered already. 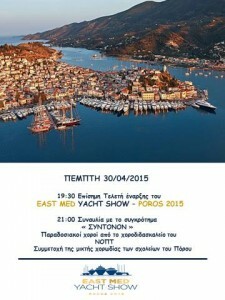 For the first time this year, during the East Med Yacht Show in Poros, will be held parallel cultural events. As stated by the Mayor of Poros Yannis Dimitriadis, pursuit of the municipality is to be upgraded with the cultural life exposure yacht, aimed at highlighting the best exposure and thus the island.